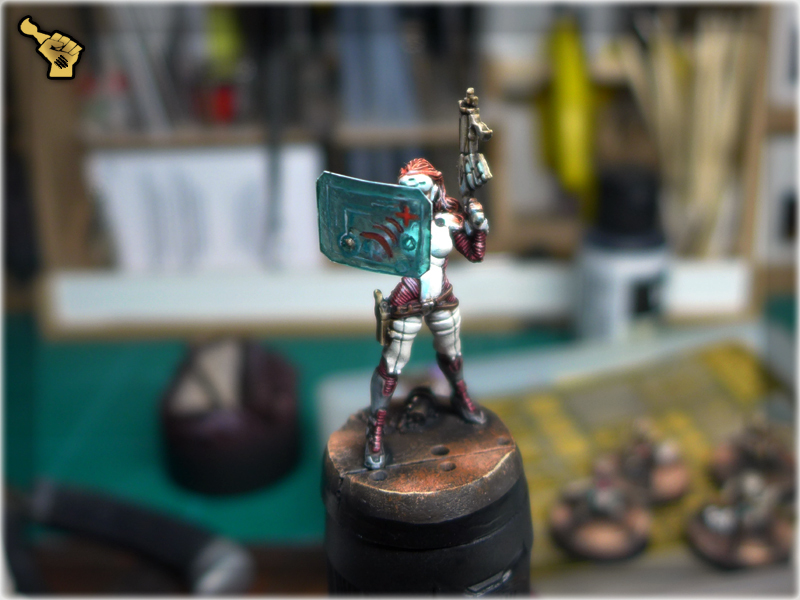 This post is in a way ‘on demand’ as lately I got an unprecedented number of questions regarding the paints used on the ‘transparent’ Hacker’s screen with which one of my NOMADS: CORREGIDOR lvl 4,5 miniatures is equipped. Taking this opportunity I will also add a mini-tutorial of how to prepare such holo-screen on the bottom of this post. 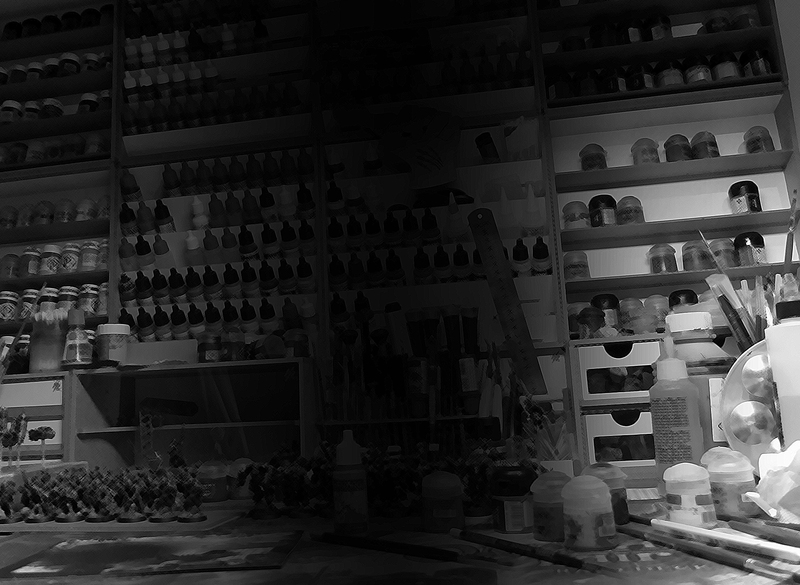 *For more transparency I maker smooth layer without brush strokes visible – I use a lot of Varnish to achieve that. That would be fast – just use scissors to cut a small piece of plastic bottle. I preffer Coca Cola Zero’s bottle, but anything thin and transparent will do. After shaping the piece put a small hole in it – that would be the place into which you will glue the miniature’s fingers so that the screen will hold firm. The secret revealed – go and spread the word! 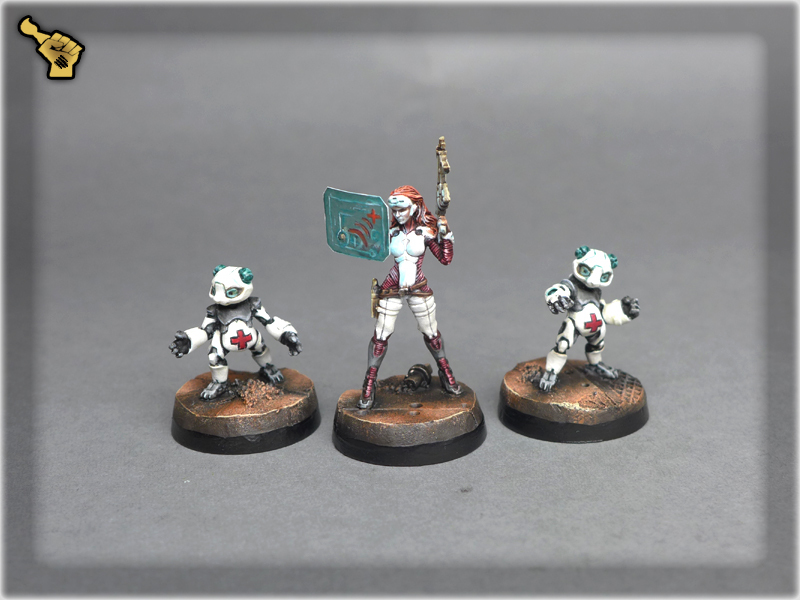 Colour Recipes: Infinity Aleph S.S.S. FISHING BAG? RATHER A TOURNAMENT HOBBY BAG! Mike Reading on Colour Recipes: Infinity Aleph S.S.S.